Did a Car Accident Cause Your Head Injury? Seatbelts and airbags work to keep you safe during an accident. Unfortunately, one of the last things that is protected during a crash is your head. Debris or other passengers moving through the car can hit you. A sudden lurch forward can bounce your head off the steering wheel or windshield. 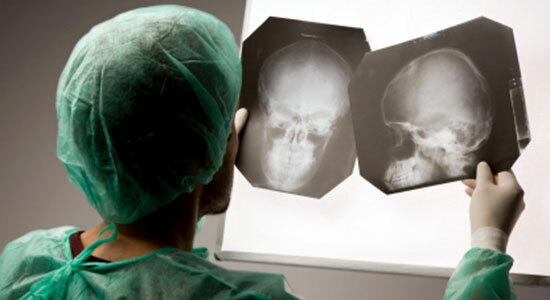 A head injury is often connected to facial injuries, fractures to the skull or jaw, neck injuries, and spinal cord injuries. All can cause permanent damage. You may not be the one who was hurt—you may be doing research for a loved one while they recover. Head injuries can pile medical bills and insurance papers on top of what seems like a hopelessly long recovery. However, there is hope: Our law firm can help you. You may have a case. Since 1982, our highly rated law firm has helped thousands of people who were seriously injured in all types of car accidents, including victims with head injuries. We've recovered over $1 billion dollars in verdicts and settlements, and we'll fight for you, too. We deal with the medical bills and paperwork so you don't have to. We keep you up to date with your case's progress. We track deadlines and answer your legal questions. We travel to you if you can't come to us. With our firm on your side, you can focus on getting better – we'll take care of the hassles and fight to get you the money you and your family deserve. Call us at 1-866-943-3427, or or use the form in the top right corner of this page for a free legal consultation. There's no obligation to use our services, so there's no risk. Don't wait another moment. Evidence disappears quickly, and there are time limits to file a claim. Let Edgar Snyder & Associates help you start getting better today. Learn more about head and brain injuries.